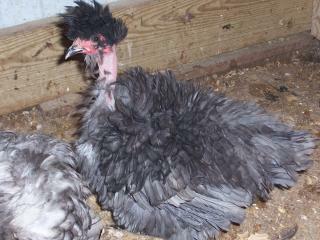 What color silkie/frizzle/showgirl am I? Discussion in 'General breed discussions & FAQ' started by vfem, Jan 7, 2011. I'm thinking she is just a grey (I hope she's a she)? I thought she looked really cool in her own "I'm so ugly way"... so I got her when I bought a white silkie this evening. I don't know what you would call a frizzled showgirl, just that? Those spur of the moment purchases get me every time. 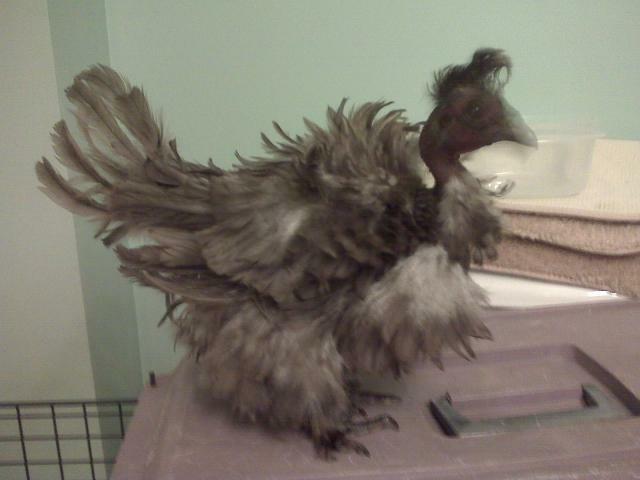 Her frizzle is much nicer then this photo actually, she was still a little damp after we finished her bath.